Washington State linebacker Peyton Pelluer is also listed on the NFLPA Bowl roster. 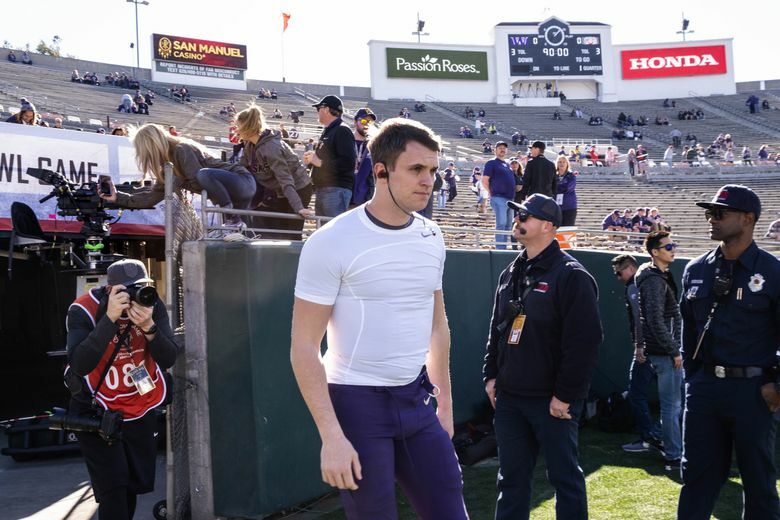 Jake Browning is back in the Rose Bowl. Two and a half weeks after the Huskies’ loss to Ohio State in the Granddaddy of them All, Browning is scheduled back in the Pasadena’s famed stadium for Saturday’s NFLPA Collegiate Bowl. The game is set to air at 2 p.m. Saturday on Fox Sports 1. Browning is listed on the roster for the “National” team. Browning was the first four-year starter in modern history for Washington, and he graduating holding virtually every major school passing record. Most analysts consider Browning a fringe NFL draft prospect — ESPN’s Mel Kiper Jr. does not list Browning among his top-10 QB prospects — but will get chances to boost his stock in the buildup to April’s draft. Washington State linebacker Peyton Pelluer is also listed on the NFLPA Bowl roster for the National team.